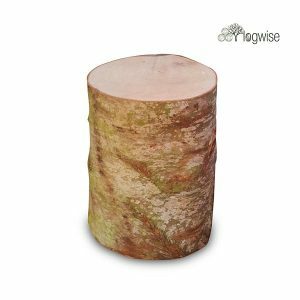 Our softwood logs are made from locally sourced larch timber. Larch timber has the highest calorific value of any softwood . For this reason larch firewood is gaining in popularity as an alternative fuel source to hardwood species. 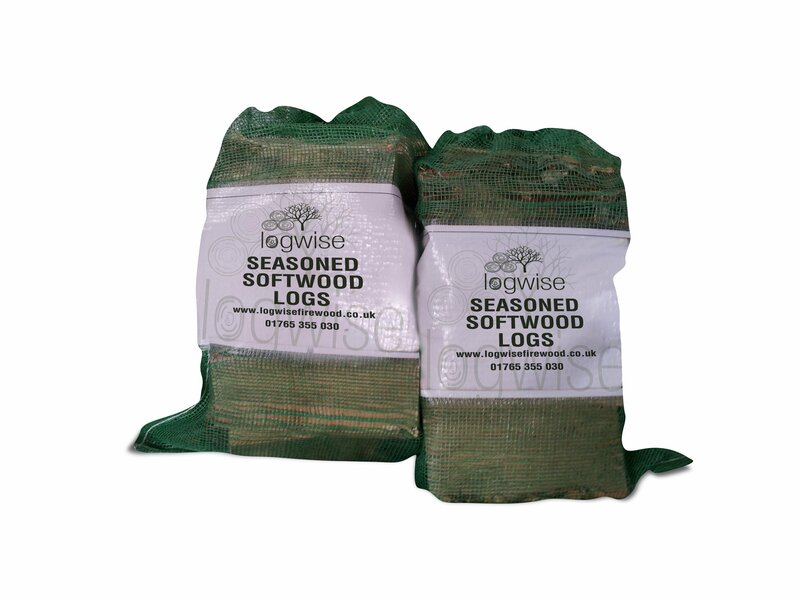 Softwood logs are less dense than hardwood and so they burn easier and quicker, however this means more wood is needed for the same heat output. Because it grows faster than hardwood it takes less time for a softwood plantation to mature which means it is the cheapest firewood we sell. These logs have been dried naturally, using the power of the sun and wind during the summer months and then moved to be stored in our large barns, fighting for space with sheep and cattle on our family farm. We are experienced at seasoning large volumes of firewood. 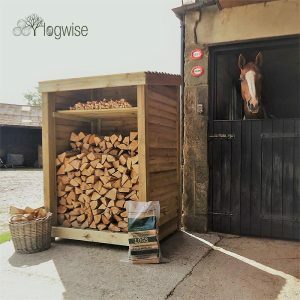 The Logwise timber yard is lucky because it is nestled on the foothills of Nidderdale. This topography has guided the Yorkshire wind that has helped sculpt the incredible Brimham Rocks’ formations just a few miles away. 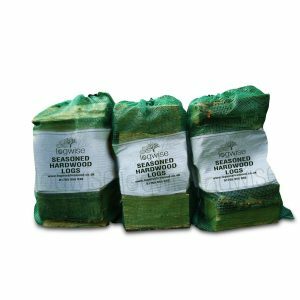 Loose filling vented bags and stacking them outdoors during the summer allows this wind to flow through the bags and reach the logs in the centre. This is important because seasoning in a large heap does not allow air to circulate to the central logs. 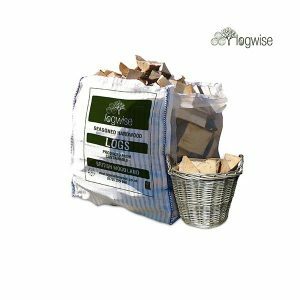 Through the Logwise Quality Assured system, detailed information, including the species and woodland is provided with every order.